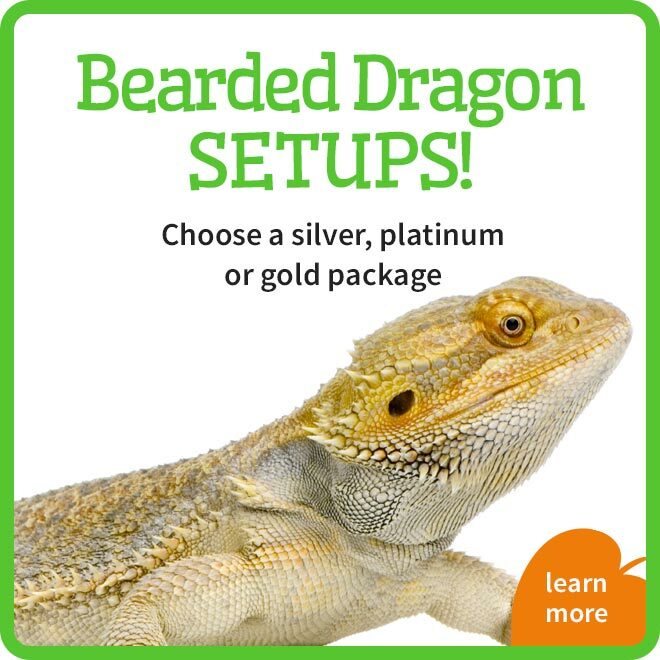 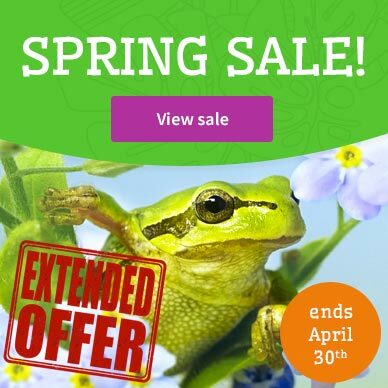 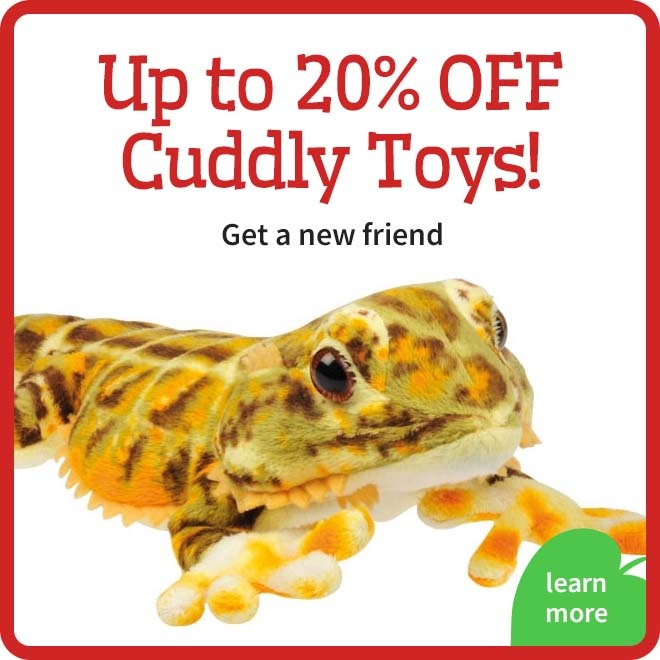 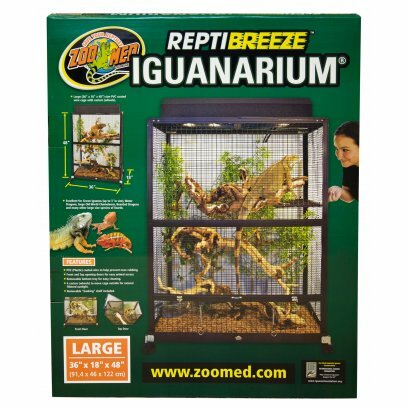 Excellent for Green Iguanas (up to 3 feet in size), Water Dragons, large Old World Chameleons, Bearded Dragons, and many other large sized species of lizards. 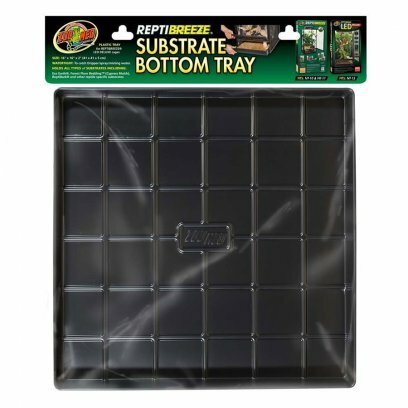 PVC (plastic) Coated wire to help prevent nose rubbing. 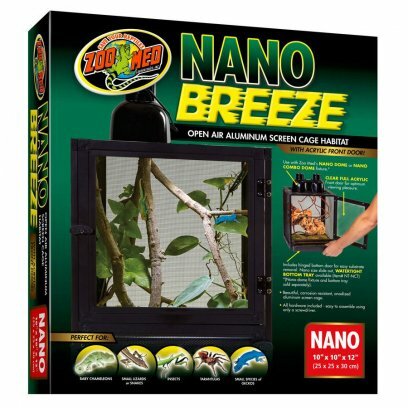 Front and top opening doors for easy animal access. 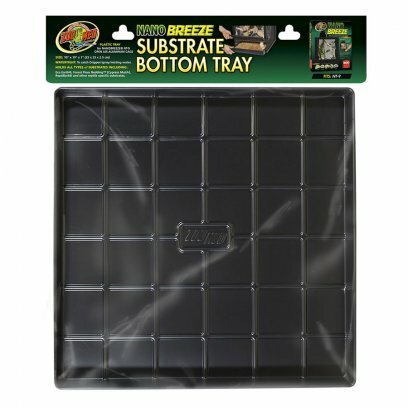 Removable bottom tray for easy cleaning. 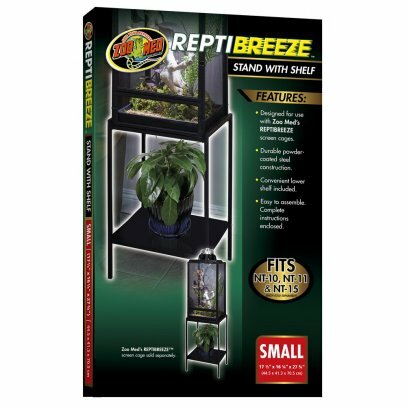 4 casters (wheels) to move cage outside for natural filtered sunlight. 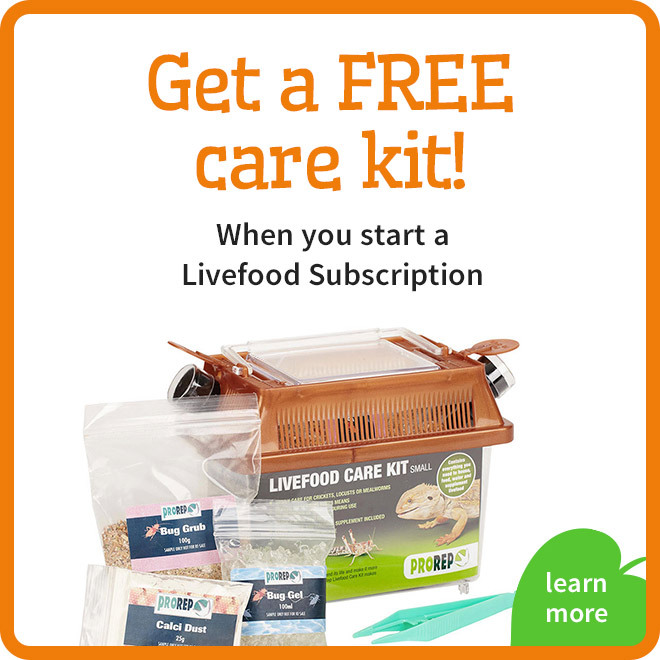 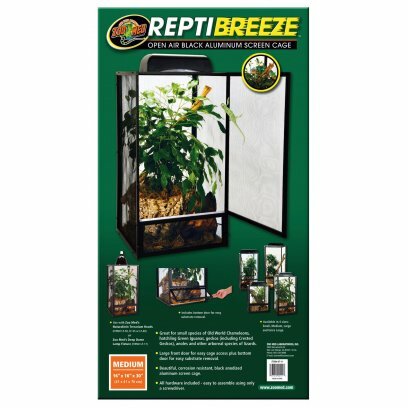 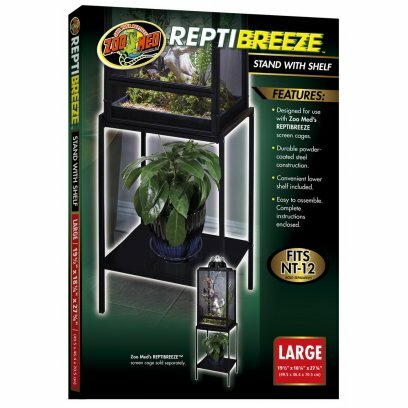 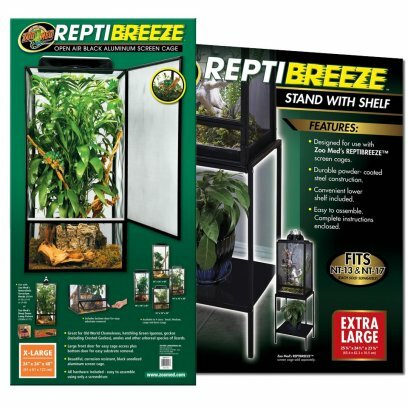 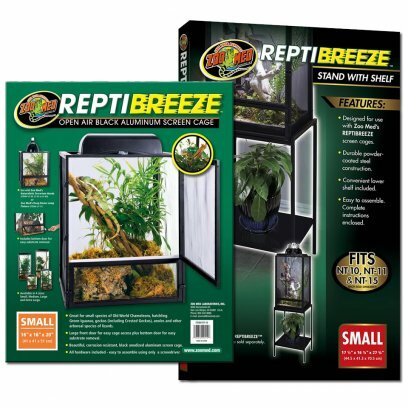 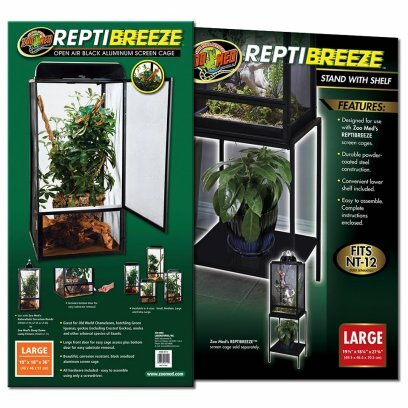 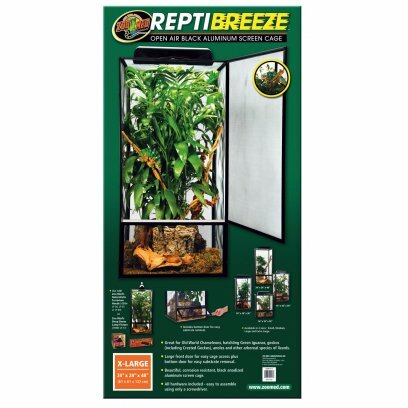 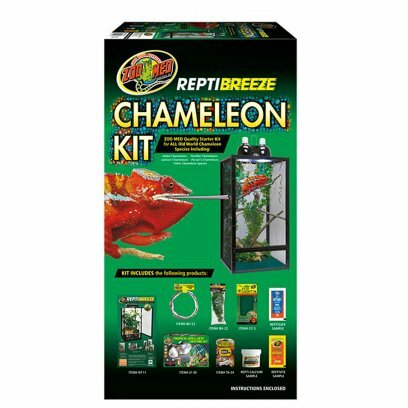 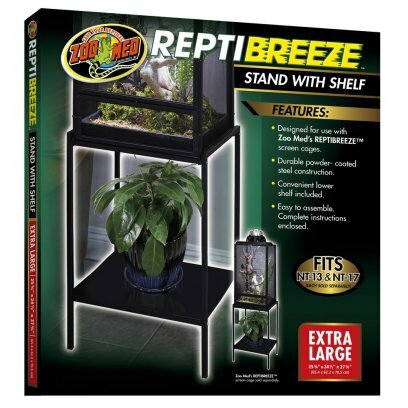 Zoo Med ReptiBreeze LED Deluxe X-Large 24" x 24" x 48"
Zoo Med ReptiBreeze X-Large 24" x 24" x 48"
Flexariums are a foldable and packable mesh enclosure for your pets. 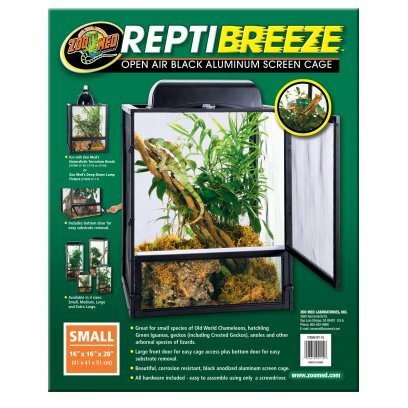 These enclosures can be good for arboreal snakes and lizards. 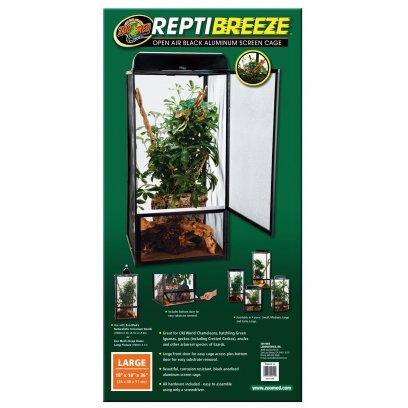 The flexarium has optimal ventilation making it a great way to home species that would usually struggle in an enclosure. 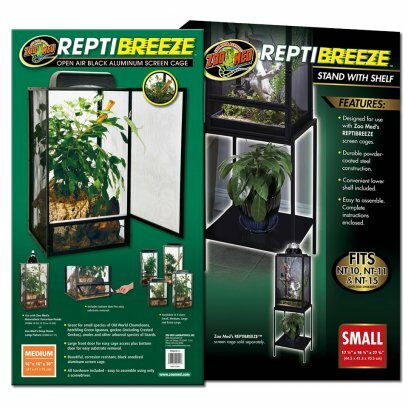 As it is foldable it is also great as a temporary enclosure for use at events or when travelling. 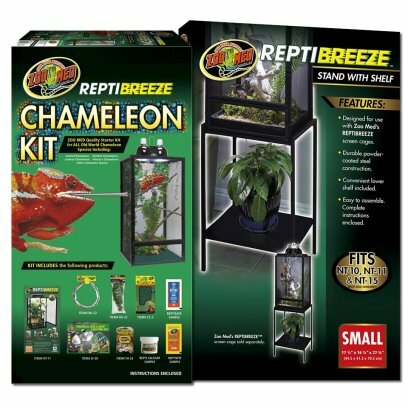 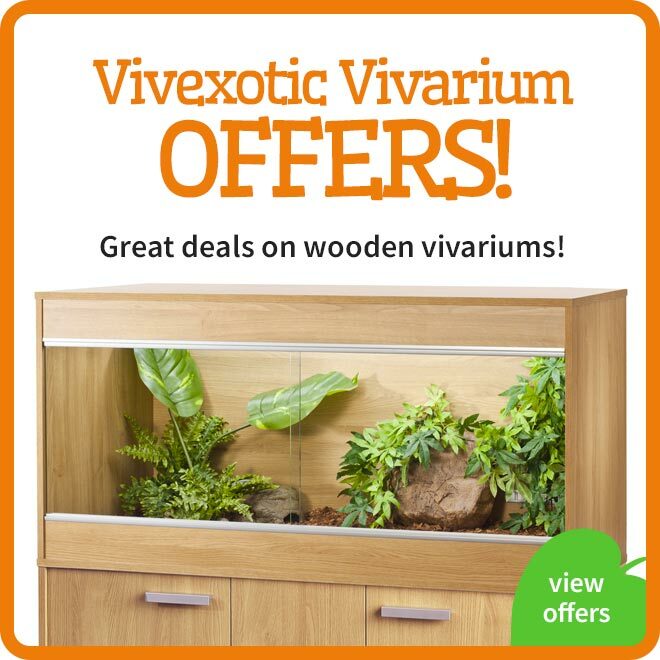 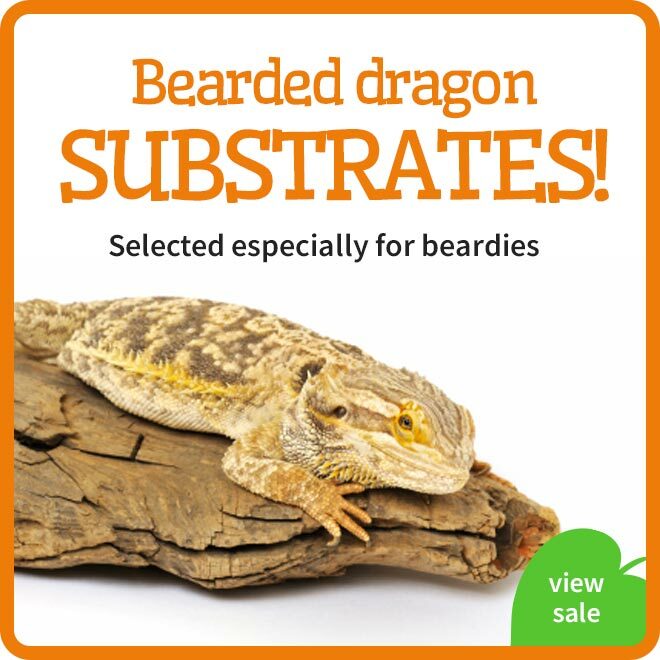 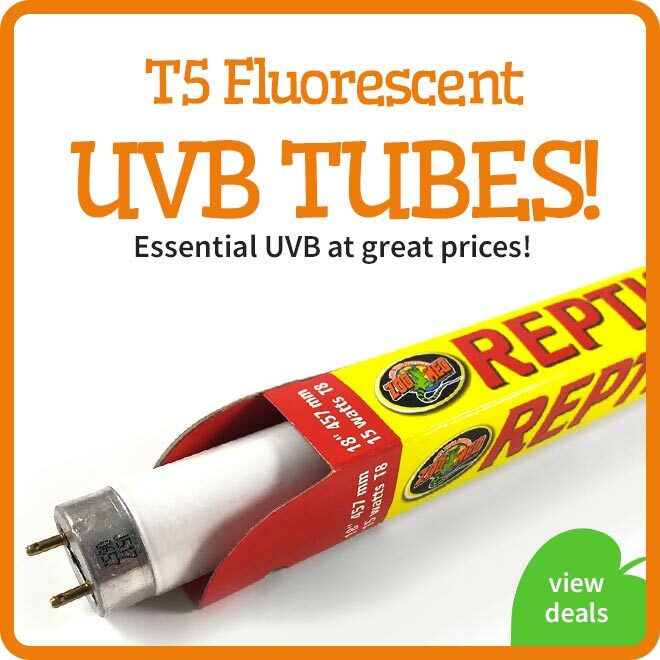 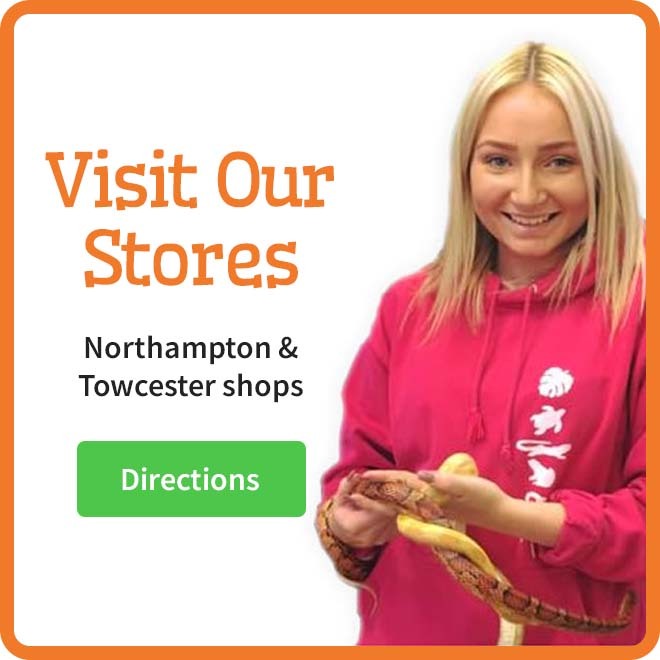 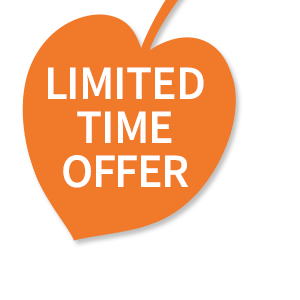 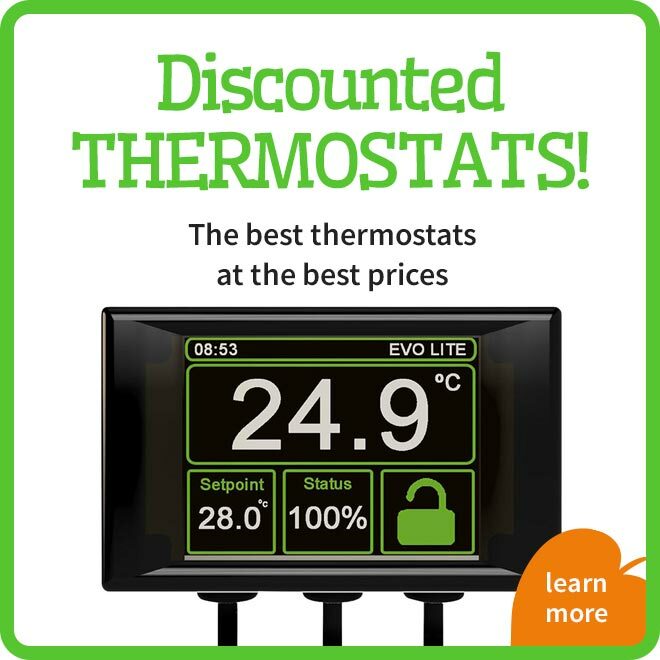 We have included a range of sizes to suit everything from small arboreal snakes to larger arboreal lizards like chameleons or small iguanas.